Meet Sydney, she is one of my favorite people I have ever met! Sydney is so much fun to work with and I am so excited that you guys get to meet her today. Not only have I gotten the pleasure of working alongside her at weddings but I have gotten in front of her camera too and it is truly such a fun experience. Sydney does not just capture incredible photos, she captures the little moments. The sweet kisses on your wedding day, the laughter during your engagement photos, and the fun dancing away at your reception. Her photos are guaranteed to make an amazing memory later. Favorite part of the wedding day: I am obsessed with all parts of the wedding day, but my favorite would have to be shooting the details. 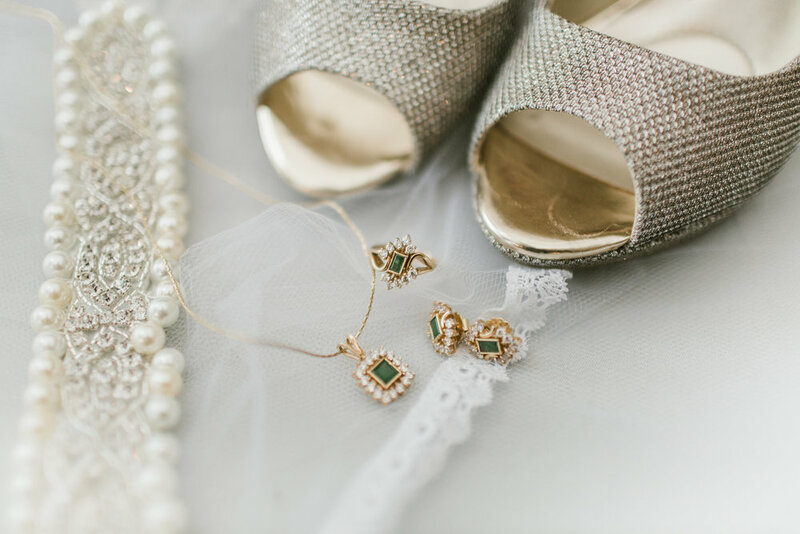 This time at the very beginning of the wedding day allow me to creatively stylize the jewelry, invitations, shoes, bow ties, rings, and florals all the while watching and capturing the bride and groom seeing their day come together for the first time. It really is all in the details! Favorite wedding location: The most gorgeous wedding location I have ever worked at was Casa Beach resort located on Sanibel Island here in Florida. They had a gorgeous spiral staircase that lead up to a second floor ballroom that overlooked the beach. They had floor to ceiling windows on 3 sides of the room so that you had the best view of the sunset! Favorite wedding day detail: The bouquet! Hands down, I am obsessed with floral arrangements and I love that no 2 bouquets are the same. Wedding day advice: Don't sweat the small stuff and everything has a way of working itself out. Every part of the day should be exciting and just as you had hoped, it's very easy to allow "little dramas" to get in the way of our thinking. Time and time again, I notice that the beginning of the wedding day it can be stressful, especially on other family members. To avoid any bumps in the road, take the time to prepare your wedding party of their expected role during the day in advance. Favorite thing about being a part of YOUR wedding day: My favorite thing about being a wedding professional is being able to be with people on the happiest day of their life! I could be having something really crappy happening in my personal life, but as soon as wedding day hits, I forget about everything and get to fully enjoy in the experience, without even trying. I am the happiest when I get to photograph weddings, nothing compares to the feeling! Meet Christine, a shared love of Harry Potter and Disney World makes it so easy to work alongside her! She is so passionate about her work that she will definitely go above and beyond to make your day super special. Her story of how she started calligraphy starts with her grandmother and is so sweet, I encourage you to ask her about it! She does signs, invitation suites, place cards, and a number of other pieces that will definitely make your event even more personalized. Favorite wedding location: It's not often that I get to attend my clients' weddings, but if you are looking to wow your guests by having a calligrapher during your cocktail hour, hand writing their name cards, your wedding location would be my favorite! Otherwise, I had the honor of my stationery traveling to Greece for a mountaintop elopement. I watercolored the mountainside with the blue roof tops, and daydreamed about being in Greece. Wedding day advice: It goes by so fast! Make the conscience effort to remember the details. Every emotion that you feel, each butterfly that flutters through you, when you feel the goose bumps. Hold on to as much of it as you can. Meet Andie, she's sweet, incredibly creative, and so fun to work with! When you choose Andie you are getting more than just a florist, you are getting someone who will work tirelessly to make your wedding floral dreams come true. Her pieces will definitely make your wedding day stand out and bring any wedding theme together. Andie is one of the most fun vendors I have had the pleasure to work alongside and can't wait to get to work with her again. Favorite part of the wedding day: The moment that we send the bride a text message with her gorgeous bouquet for her approval. I get so excited to share this moment with my clients, because it is what they have been waiting for: their bridal bouquet. Favorite wedding location: There are many... one of the favorites for sure is Mission Inn, Howey-in-the-hills. It is kind of far, but not too far, kind of the middle of nowhere, but not really. And the property is super cool, between all the ballrooms, and outside areas, and gardens. It is a favorite for sure. Wedding day advice: Enjoy the ride. We wish it could be picture perfect, but most likely, it won't. Don't let little things bother you. Enjoy every second of this day that you have been dreaming and planning for a long time. Favorite thing about being a part of YOUR wedding day: Again, there are a lot " favorites", but one of the favorites for sure is the new friends that the industry have brought me. Vendors that become friendors, clients that become friends, even after 3 years and moving out of the area, we still in contact. There are many great and awesome people around us everyday, we just have to find the ones that have the same goals as you.